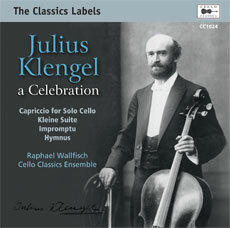 With CC1024, Cello Classics brings together many of London's finest cellists, in recordings of a number of works by Julius Klengel. 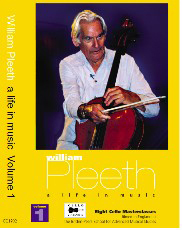 Cellist, composer and influential pedagogue, Klengel's 'descendants' include Piatigorsky, Feuermann, Suggia and Pleeth, in turn producing most of the great cellists of today. The ferociously virtuoso Capriccio for solo cello, played by Raphael Wallfisch, has rarely appeared on cd while other works receive their first recordings. Together with newly remastered recordings of Klengel himself, the cd closes with the ever popular and beautiful Hymnus for 12 cellos. All the artists on this recording have given their services in aid of MS Research, a charity much associated with the late Jacqueline du Pré (1945-87), grand-pupil of Julius Klengel.